Derik and I spent the first three weeks living in New Zealand living in a campervan. Two months prior we made the quick decision to move continents, and we didn’t give ourselves much time to research areas for general living, jobs, and housing. We didn’t have a good feeling about just picking a random city to live in, and didn’t want to feel rushed finding a job and a house. Our only obvious solution was to rent a campervan and drive around the country until we found a city that just screamed ‘us.’ We couldn’t be happier with our decision to move to New Zealand so quickly, as well as taking that (almost)month to road trip around the entire country. What a gorgeous trip that was! Now that we’ve settled down and are starting to build a daily routine, I’m beginning to dissect all the parts of moving to this gorgeous country. Last week we talked about getting a work-holiday visa, this week we’re going to talk about one of the #1 pastimes in New Zealand: road-tripping in a campervan. A campervan is exactly what it sounds like- a van renovated to live in (get that RV/camper picture out of your head. It’s definitely not an RV). 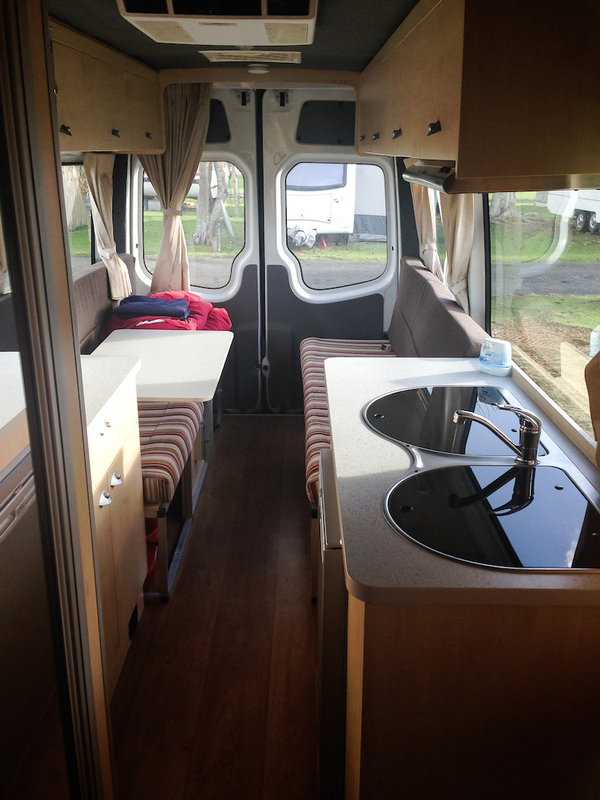 Some campervans have toilets, kitchen sets, and full sized beds, some do not. It really just depends on what size, make, and model you choose! Derik and I went with one of the bigger sizes, just because we brought along almost everything we owned from Korea. I wrote down a few thoughts on living in our particular campervan here. Which campervan company should I choose? It’s difficult, especially living out-of-country to figure out what rental agencies are reputable, and which ones have the best deals. 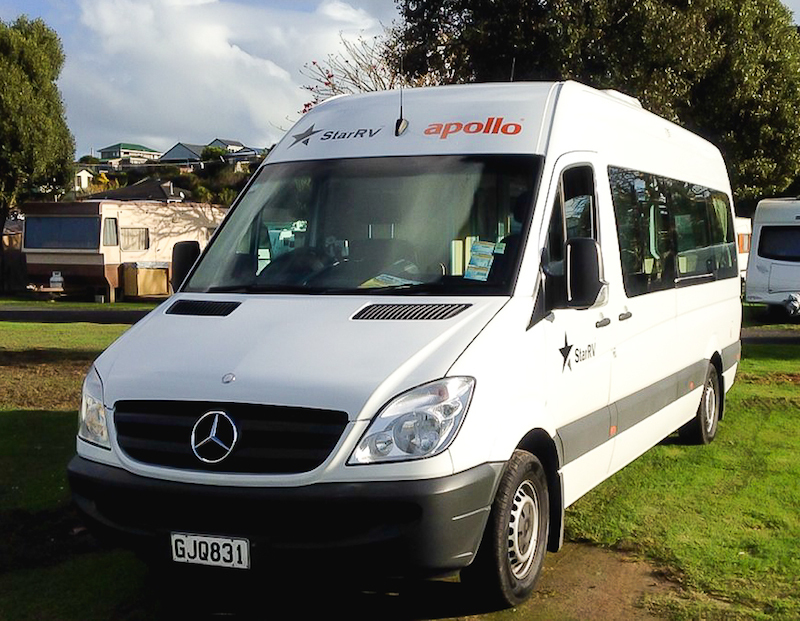 We rented our campervan through Apollo because they had a great winter sale: buy 7 days of a rental, get 2 days free. Just be aware that Apollo has a lot of hidden fees they don’t tell you about at the initial booking (more on that in a minute). Our rental ended up costing twice as much as we thought it would, which can definitely through a huge wrench in your travel plans if you’re on a strict budget! Another popular rental choice is Jucy Rentals. If you’re wanting to stick out in a crowd, nothing will do that better than your bright green and purple van. Jucy doesn’t have many big vans, but they do offer an affordable choice for those that are on a strict budget! I don’t want to write too much about Jucy since I haven’t personally rented through them yet. They appear to be a great rental agency to work with! One of their major perks this Winter season? Free ski passes! How’s that for saving money? What do I need to rent a campervan? -A driver’s license, and (preferably) an International Driver’s Permit. You can legally drive around New Zealand for an entire year with your current country’s driver’s license or the International Driver’s Permit (required if your DL is in a language other than English). How cool is that? On a side note, before you drive be sure you read up on NZ road laws. The rules of the road can be quite different than what you’re used to back home! -Passport. If you’re from out of country, odds are if you’re acquiring something of substantial worth to rent, employees are going to want to copy your passport. Don’t ever let a company keep your passport for the duration of a rental (this is mainly practiced in places like Thailand and Vietnam), but a copy is ok. Just remember they’re trusting you with a very expensive item, they want to make sure they can keep tabs on you somehow! -A credit card. Although not required, it is recommended you bring your credit card to rent a campervan. Some people don’t have a card so they bring cash. The downpayment/security deposit will be twice (if not 5x more) than your rental rate, so be prepared for that. If you chose the basic rental insurance, Apollo requires a $5,000 security bond on your card (or cash). That’s hefty! If you choose full insurance they require only about $2,000. Scams I tell you, they’ll always do the lower price if you’re paying more per day. Sigh. Costs to be aware of? Diesel Tax- It’s calculated per kilometer, and with the extensive milage we’d be covering over three weeks, our tax was in the hundreds of dollars. Why were we not told of this before we reserved/pre-paid for our rental vehicle? However if you were to purchase full coverage (All inclusive package) with a rental agency, the milage is free so you don’t have to pay the Diesel Tax. We went ahead and changed our plan from the standard coverage to the full just because of the bond and the Diesel Tax. Bond-We already talked about this, but be prepared for the hefty bond you have to pay to get the campervan rental! I don’t want to discourage you from renting a van and hitting the roads, but I do think it’s important to let you know you’ll have to pay a couple thousand dollars down (which you get back obviously) right away! Roadside Assistance- The rental agencies will tell you this is a must-get for New Zealand. They’re not kidding. The windshield in our van was chipped twice with rocks, something we would have had to pay $300-400 dollars to replace if we didn’t have the roadside assistance. We also had to get our campervan towed to higher ground after getting it stuck in the mud at a crappy campground. The sad thing? The campground manager said it was our fault our van sunk overnight, even though she told us it was the only place we could park overnight. We had parked in the dark and had no idea it had rained the night before. Moral of the story: if you pull up to a campground and the manager seems rude and barely tells you hi, leave. She also wanted to charge us $500 bucks to tow it out. Thank goodness for roadside assistance, we were able to have it towed out for free 20 minutes later. Ideally, how long should I look at renting/road-tripping through New Zealand? If you’re trying to visit both islands, 1-2 weeks will be almost impossible. There are so many gorgeous places to visit in New Zealand, you’ll be constantly driving and only experiencing these sights a couple hours a day! Even at three weeks we were super rushed and missed the entire east side of the North Island. To view the whole country on a fast paced timeline, give yourself at least a month! Want to enjoy more? A month and a half. Freedom camping, budget camping, or quality RV parks? Freedom camping is camping basically out in the middle of nowhere for free (no electricity, water, or bathrooms btw). In other countries it can be considered ‘camp wherever you want to,’ but in New Zealand freedom camping is highly regulated, and you’re only allowed to freedom camp in designated areas. Why? People were basically coming into this gorgeous ecofriendly country and trashing it up. Now, the rest of us responsible folk aren’t allowed to camp wherever we want to due to the irresponsibility of those who have come before. Doesn’t matter though, there are so many locations to camp, park your campervan or RV, you’ll never have to look too far. On a strict budget? With a little help you can find nice budget camping/RV sites to stay at for $10-25 dollars a night. Most of these do not include power or wifi. Some have showers, but you usually have to pay per minute. We spent a lot of time in budget campgrounds, and would splurge every few days on a nicer, quality RV park. It’s hard to find these budget locations on a map, so be sure to download CamperMate and use their in-app location services to find the budget campground (color0coded in blue) nearest you! CamperMate also helps you find freedom campgrounds (color-coded green), quality campgrounds (color-coded purple), gas stops, restaurants, free wifi, and things to do! Our favorite travel NZ resource! While road-tripping around we discovered the Top 10 Holiday Parks and Kiwi Holiday Parks were some of the best and most luxurious to stay at! We actually paid for the Top 10 membership because we were so impressed with their campground parks throughout the country. With that membership we get 10% off all Top 10 Holiday Parks, as well as a bunch of other discounts including transportation, tours, and lodging! Both of these holiday park chains offer wifi, free showers, restaurants on the campground, clean facilities, full kitchens, power sites, and are usually near gorgeous, scenic locations! Holiday parks are usually a bit more expensive: $35-65 dollars per night, with an average daily rate of $45. What were your favorite road trip locations? This is so difficult because you almost have to experience each part to see how epic New Zealand is as a whole! 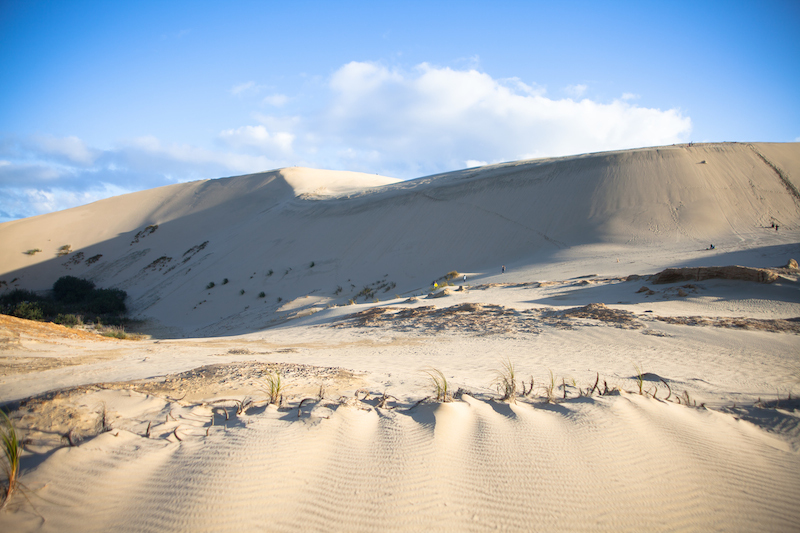 The Northland gives you a 90 mile beach, enormous sand dunes, the Bay of Islands, and gorgeous (warm) weather. 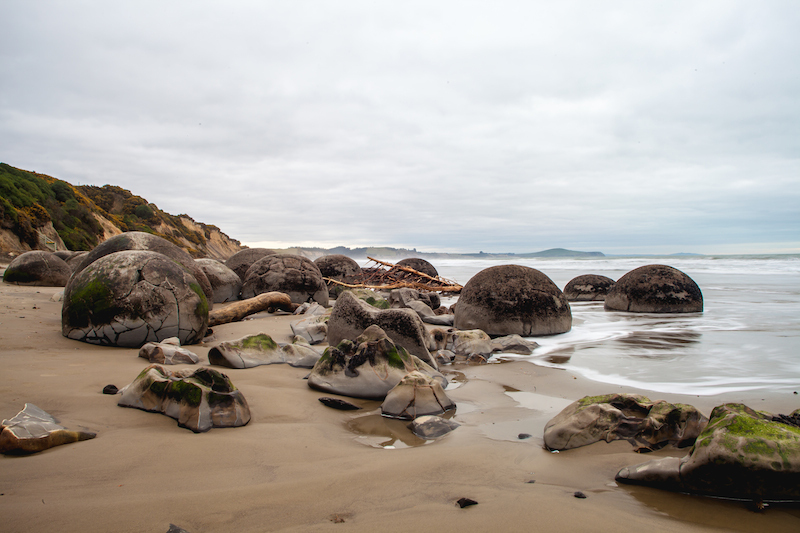 The Coromandel boasts of hot water beaches, Cathedral Cove, and the Karangahake Gorge. 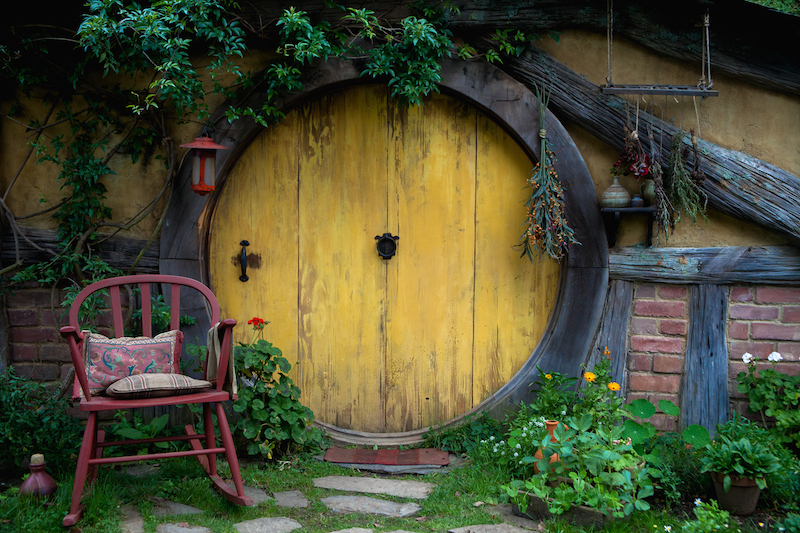 As we were driving from the Coromandel to the south, it was basically required that we had to take a pitstop in Matamata, otherwise more famously known as the location of Hobbiton. Real middle earth full of rolling hills, blue skies, sheep, and yes, Hobbit holes. 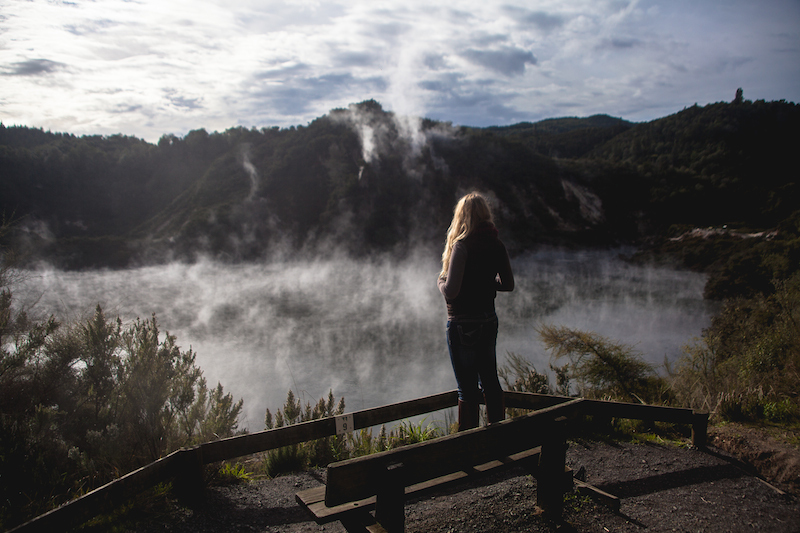 The heart of the North Island is home to Rotorua and Taupo’s, in which you can soak the day away at the thermal spas and hot pools. We also loved hiking around the area to view the geothermal landscapes: geysers, waterfalls, mud pools! 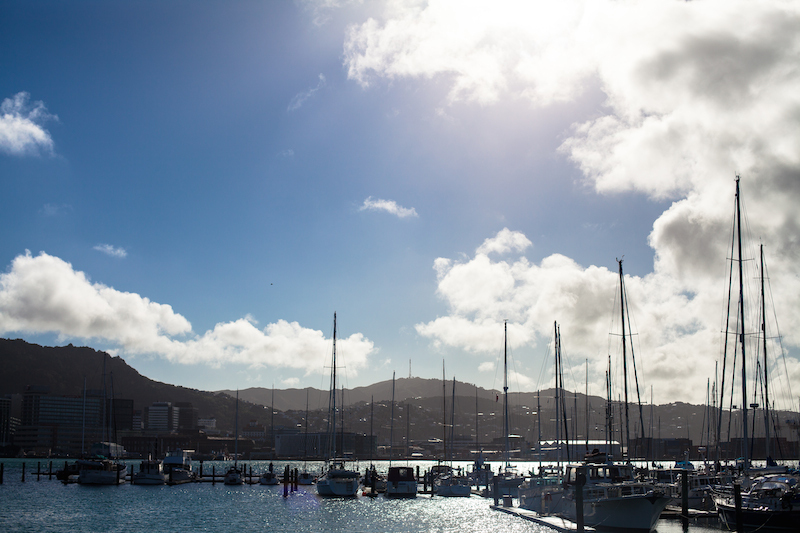 We initially thought we were going to live in Wellington and worked our way down there from Taupo. Once we arrived, we fell in love with the gorgeous windy city, with its’ bustling farmer’s markets, busy harbor, and amazing shopping streets! However, we arrived about 9 days into our journey and were ready to try out the South Island to see what it had to offer. The South sucked us in, and I’m afraid Wellington (although still one of my favorite stops) will only be a travel destination for us, not a place where we will ever live. 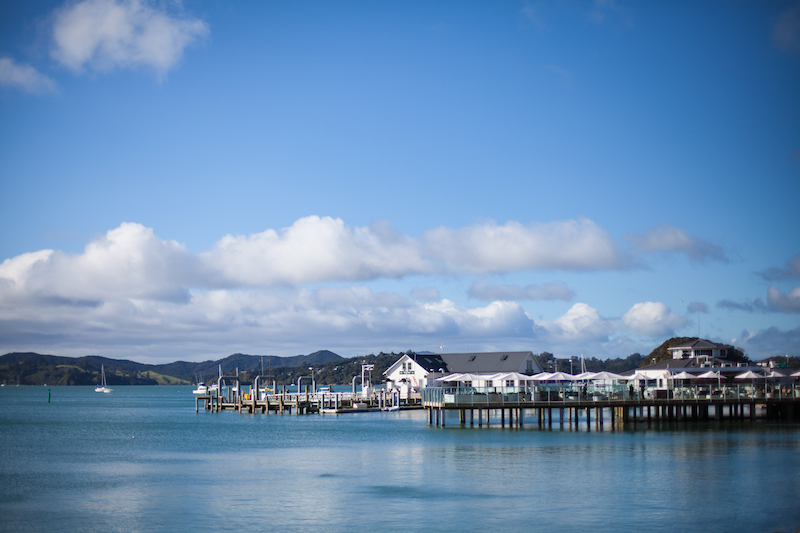 The first town we fell in love with was beachy, quiet town of Nelson. I don’t know if it was the absolutely perfect weather we had there, watching the surfers have fun in the waves all day, or the amazing street cart food, but we just loved Nelson. We almost decided to stay there, but jobs and housing weren’t readily available this time of year. Looking back on it, I’m glad we continued on. The most epic and picturesque location in New Zealand is handsdown Queenstown. 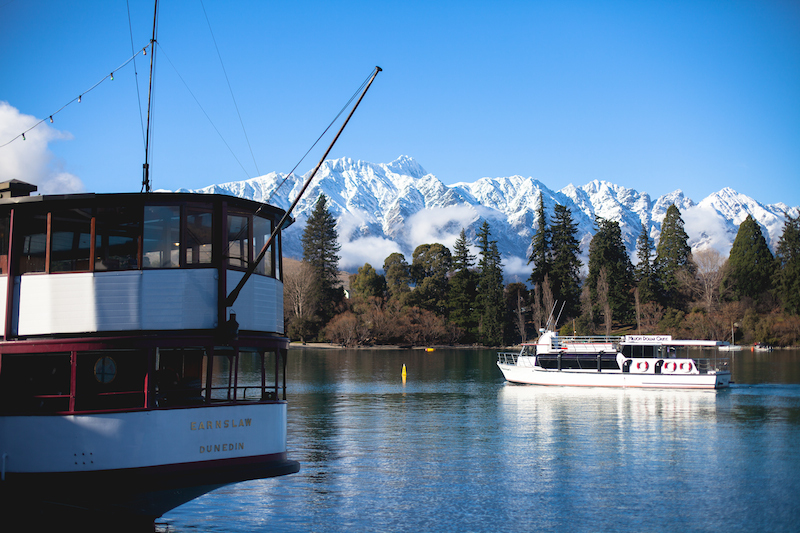 A town surrounded by epic mountainscapes, right on a bay of gorgeous blue water, filled to the brim with adventure loving people, Queenstown is just buzzing with excitement 24-7. There is a never-ending list of things to do in Queenstown, so saying you’re bored would never be an option. 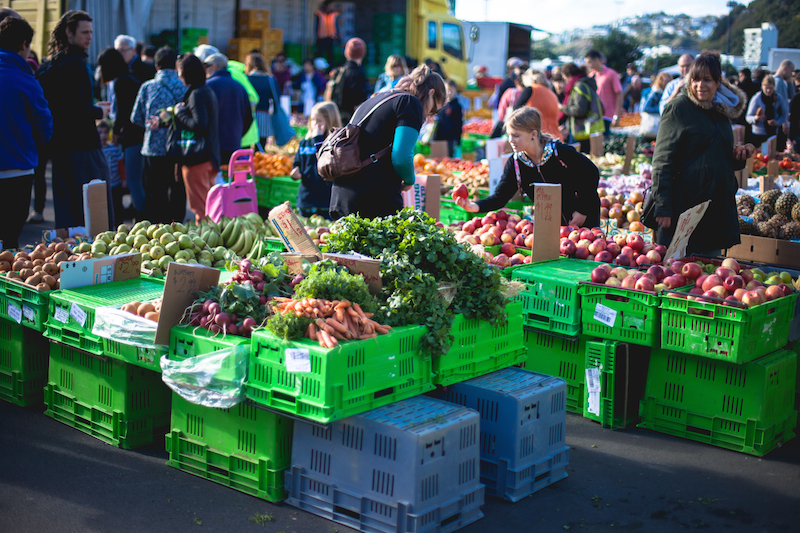 Food and housing is remarkably more expensive here than any other place we looked at in NZ, so we moved on. I can see countless trips over to Queenstown in the next year. We’ve already visited twice and it’s only been two months. 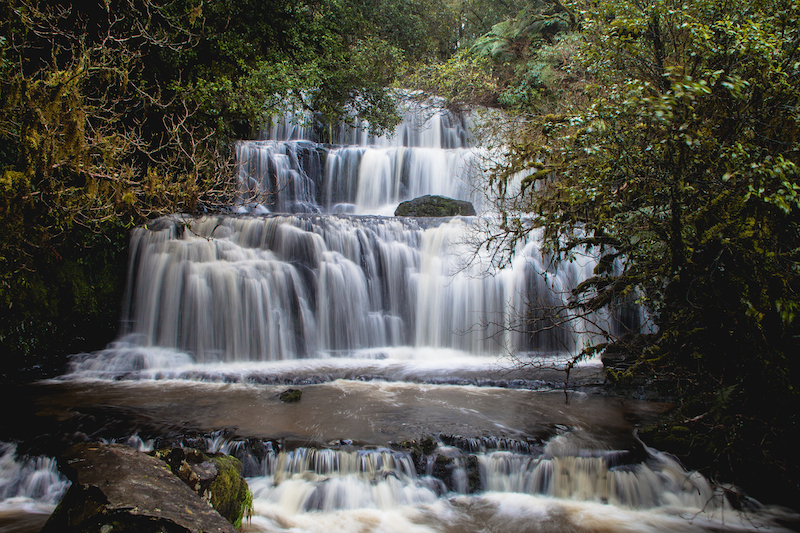 Wanting a quieter weekend filled with hiking around in nature, Derik and I visited the very southern tip of New Zealand in a location known as one of the prettiest in the country: The Catlins. 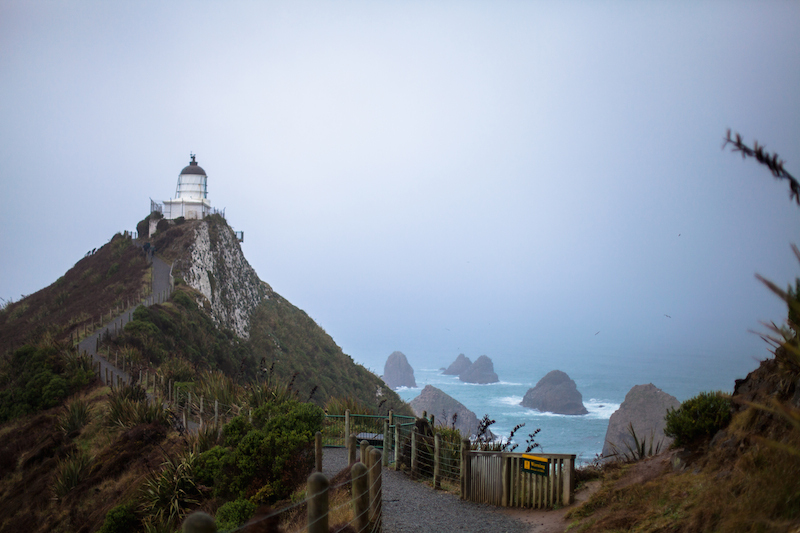 Waterfalls, rainforest, beaches, rivers, cliffs, lighthouses, penguins, seals, and more? This little pin-on-the-map has it all. 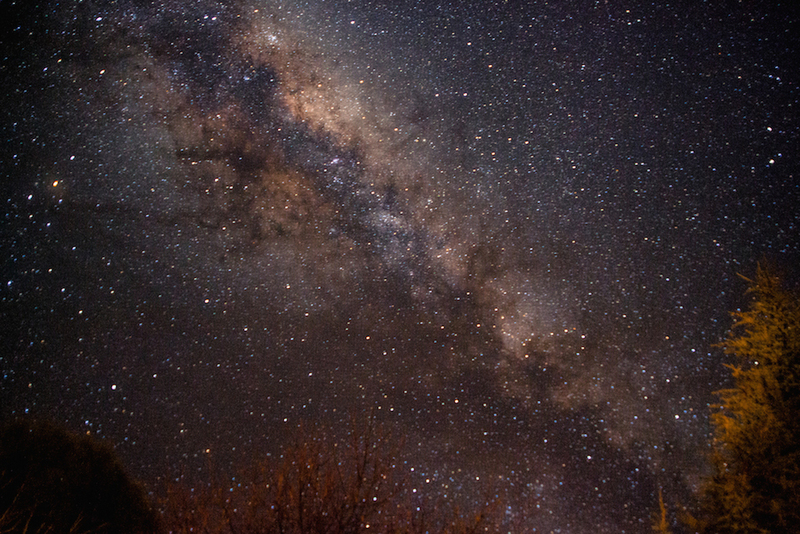 Oh, and the stars are gorgeous. Dunedin, the place we call home. A university city chalk full of history. I could walk around for hours taking pictures of the gorgeous architecture. Once I’m finished it’s always a good idea to grab a beer at one of the local pubs. 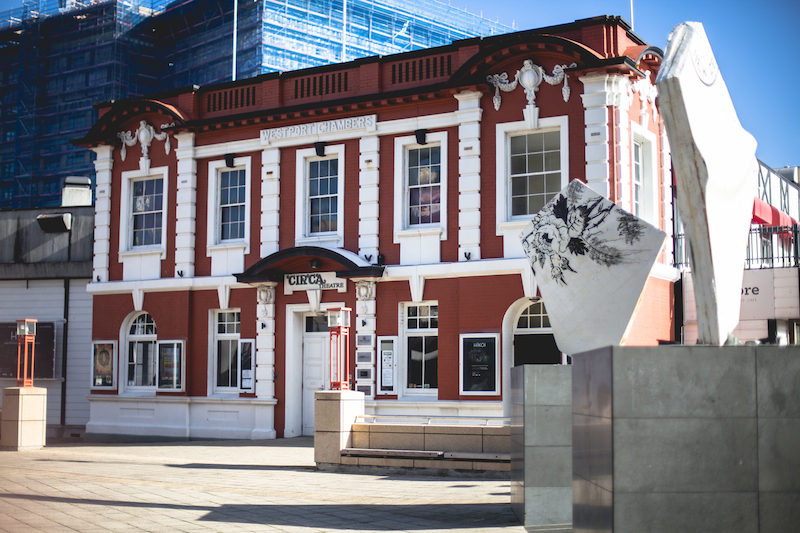 Dunedin is home and nesting grounds to the Royal Albatross. Nothing like seeing a bird with a 9 foot wingspan. 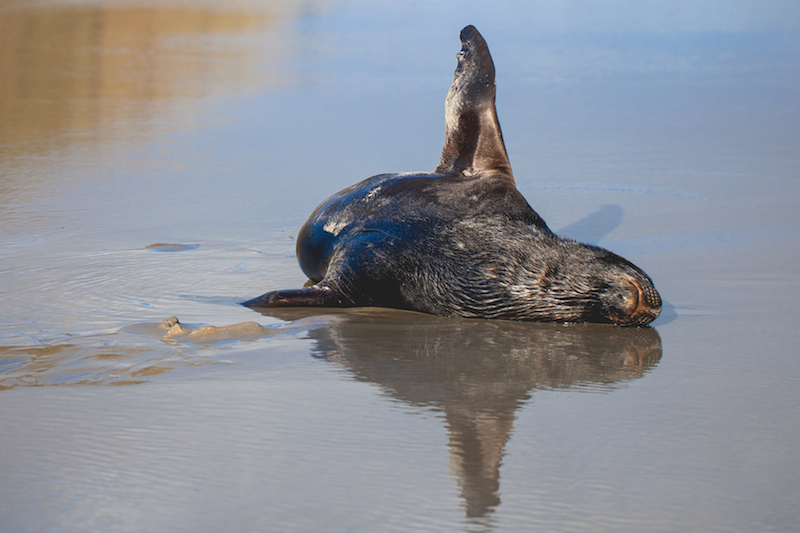 If that little tidbit of bird news wasn’t enough for you, rare Yellow Eyed penguins and Little Blue penguins also live in the area! 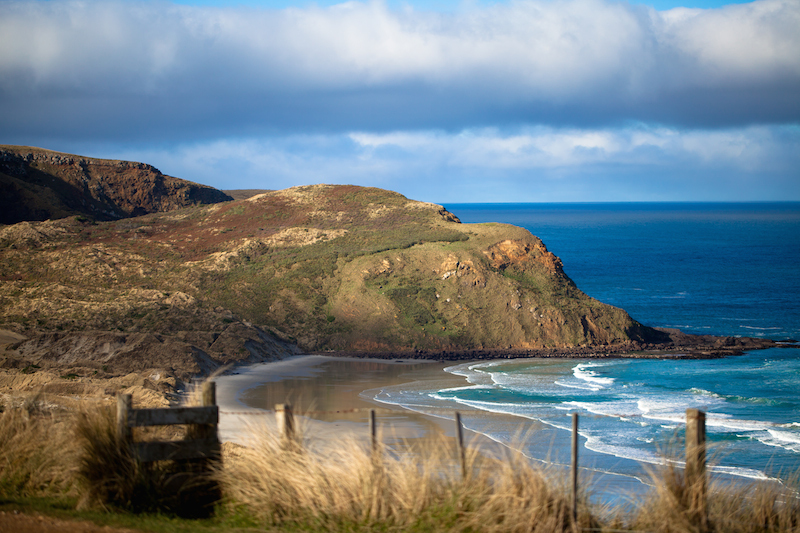 Loads of white sand beaches (with great surfing), hiking trails, and a cloud forest gives you plenty to do while hanging out in Dunedin. 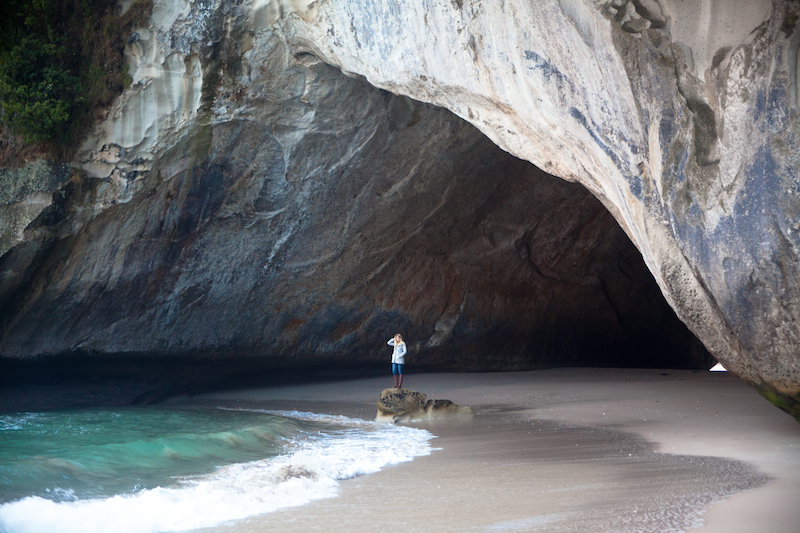 If you could make another trip soon, what would you do differently? Not pack so much! Even though Derik and I consolidated everything we owned into two large 50lb military bags, two backpacks, and two carry-ons, it was still way to much stuff to have in a campervan. It’s funny how we thought we didn’t have a lot of stuff until it couldn’t fit in the 4 drawers we were provided and we had to look at it ‘not put away’ for the next 20 days. It was horrible. Next time, only ONE large bag should do it. Do we really need all those clothes anyway?